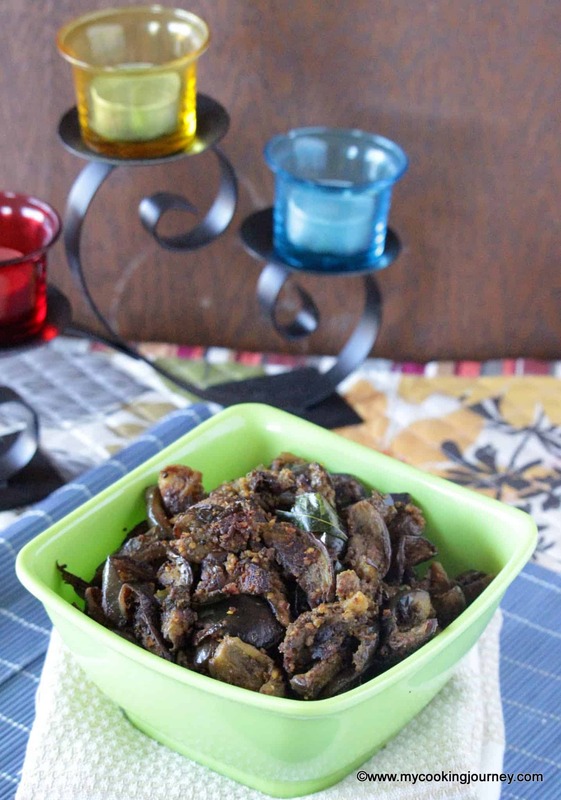 The best side dish to serve with Ven Pongal is this Kathirikkai Gothsu | Eggplant / Brinjal Gothsu. Serve it not just with Ven Pongal but also with Idli or Dosai and enjoy. I am a part of the group called the ‘A-Z Recipe challenge’, wherein a group of bloggers come together and we choose key ingredients alphabetically to cook and post a dish every alternate month. This event was initiated by Jolly Makkar and Vidya Narayan. This month the challenge is to choose an ingredient staring with the letter ‘E’ and making a dish out of it. So, I decided on the ingredient Eggplant (brinjal / kathirikkai) and chose to make this delicious Kathirikkai Gothsu | Eggplant / Brinjal Gothsu. 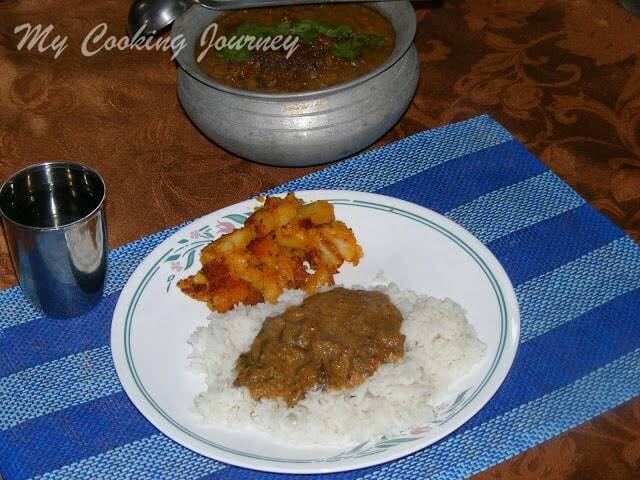 Gothsu is my favorite to eat with for many tiffin / breakfast items, especially Ven Pongal. The steaming hot pongal with a liberal serving of gothsu is a match made in heaven. 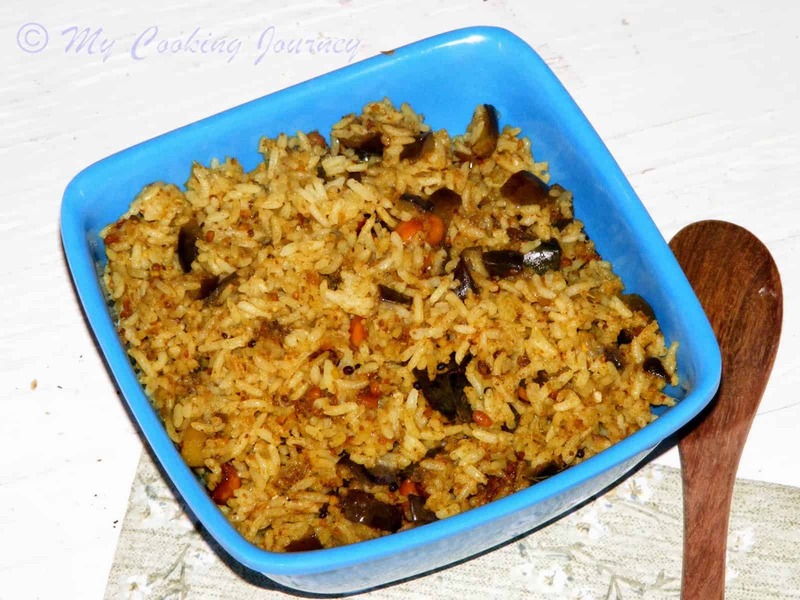 Kathirikkai Gothsu | Eggplant / Brinjal Gothsu, is one of a very common gothsu that is made. 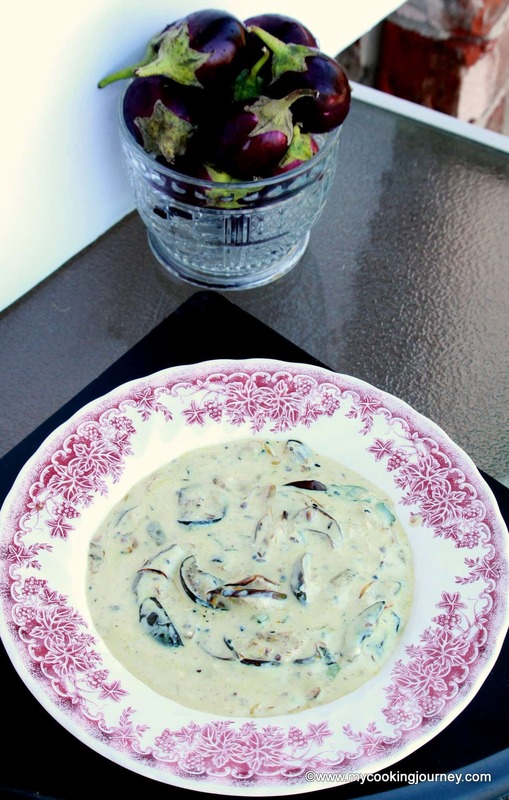 It is a very simple recipe and so quick to make. 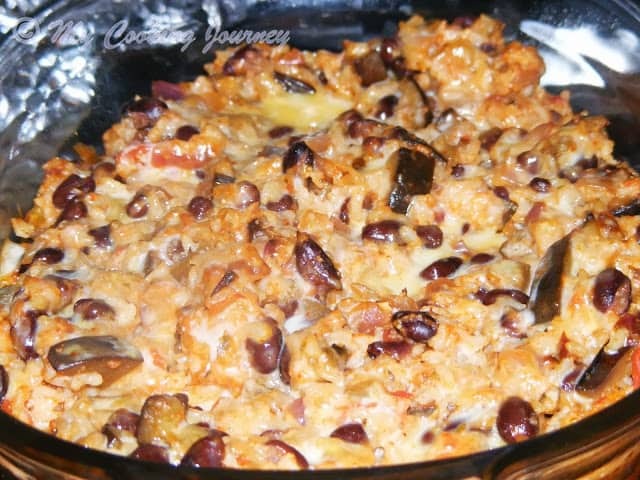 There are two different kinds of gothsu made with kathirikkai / eggplant. 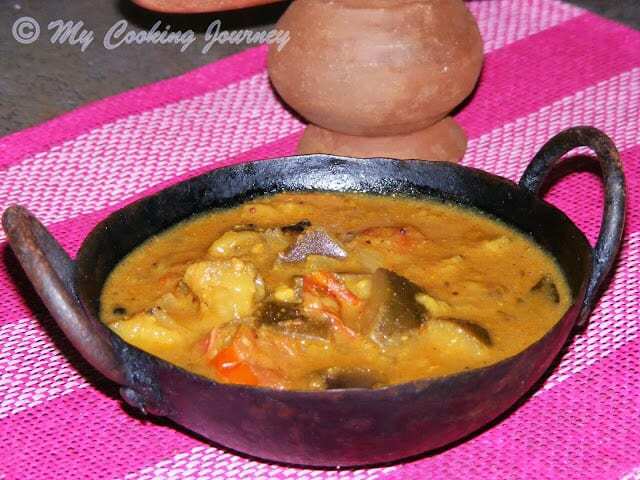 One of it is called the Chidambaram Gothsu and it is made with roasted eggplants. This gothsu is not to be mistaken with the Chidambaram Gothsu. This is made with either the long eggplant or the small ones and there is no roasting involved. This Kathirikkai Gothsu | Eggplant / Brinjal Gothsu goes really well not just with Ven Pongal, but with Idli and dosai as well. 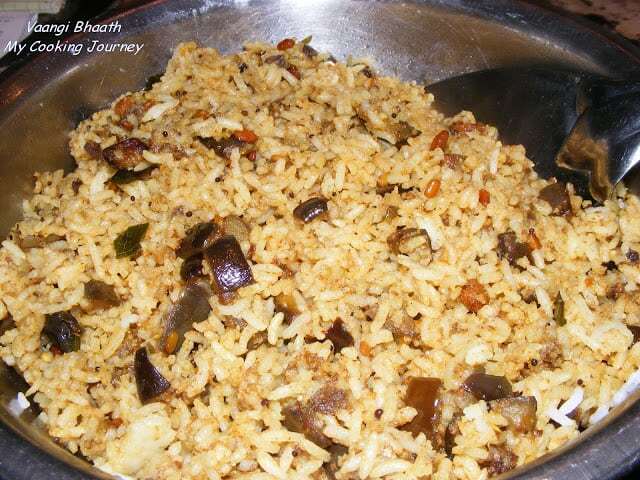 My favorite is to eat this Thayir Sadham / Yogurt rice. 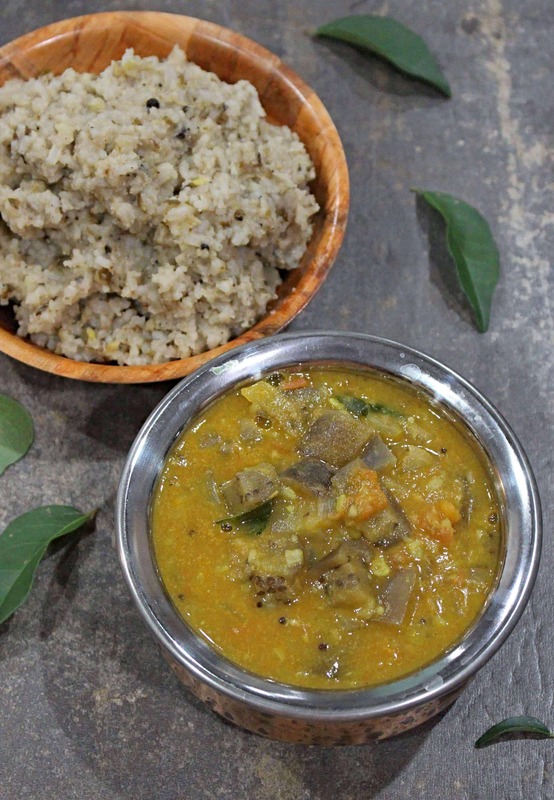 If you are looking to make a slightly different Pongal using millet, then give this Thinai Ven Pongal a try. 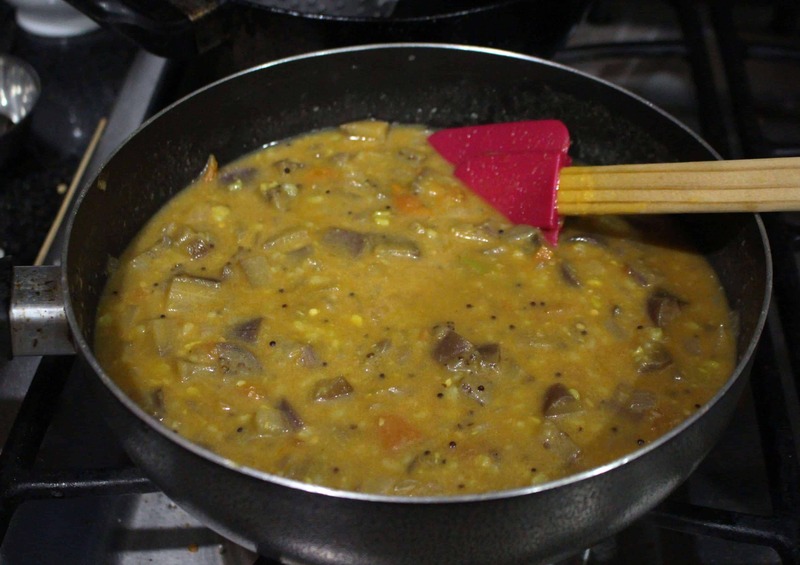 If you don’t have eggplant in hand and want to still make gothsu, then try this Mixed Vegetable Gothsu / Kalyana Gothsu made with little bit of different vegetables that you have in hand. 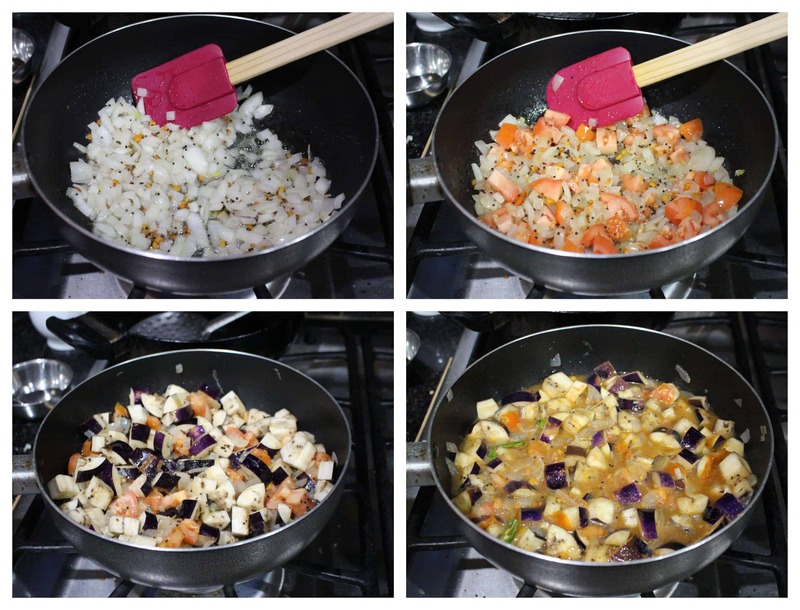 Add the chopped onions and saute it for 2-3 minutes until slightly softened. Now add the tomatoes and fry for a minute. Add the chopped eggplant and green chilies and saute for 5 minutes. Now add the tamarind water to the vegetables and mix well. Add the Sambhar powder and salt and let the gothsu come to a boil. Cook until the eggplant is soft and cooked. Add the cooked payatham paruppu / moong dal and mix well. Add the jaggery as well and let the gothsu simmer for about 5 minutes. 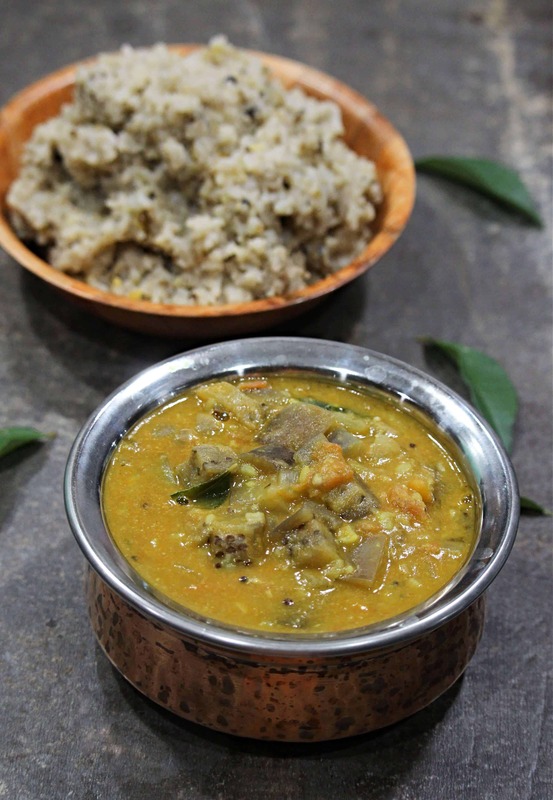 Garnish with cilantro and serve hot with Pongal! Kathrikkai Gotsu is one of my most favourite things ever. Your version looks delicious! Just love gothsu with ven pongal and idlies, its been a while i made them. And its one of my favourite side dish to enjoy without any guilt. Kathirikai gothsu looks delicious .. I have never tasted with moong dal . I have to try this. I absolutely agree. 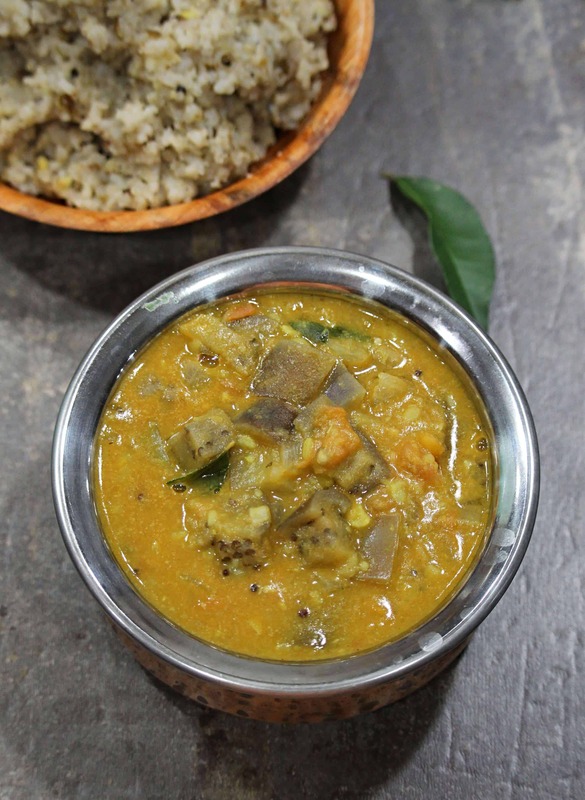 There is no better combo for Pongal than the gosthu, I have given your version today to my mil as hers is very different and she wanted to try something new. The gothsu sounds super delicious and filling… Just so flavorful! The gothsu looks delicious. I’ve never made an eggplant curry like that, will have to try this recipe out. Eggplant gothsu looks yum and delicious. A different way of cooking eggplant as I have never added tamarind pulp in eggplant. My my… I am drooling at 6 AM in the morning and wondering whether I have time to make this before I go to work. Alas, it will have to be a treat for another day. I love the Gotsu-Ven Pongal combination. This is a new recipe to me but the gothsu sounds flavorful. Would love to give it a try sometime. The eggplant gothsu looks delish and inviting ! Would love to have it with steamed rice . Sandhya, being a South Indian myself and an aubergine fan, whenever I think of making idlis or pongal, gothsu is always on my mind rather than the usual chutney. My husband is not a huge fan of aubergines so I make this rarely now, with just the two of us, cannot expect variety. 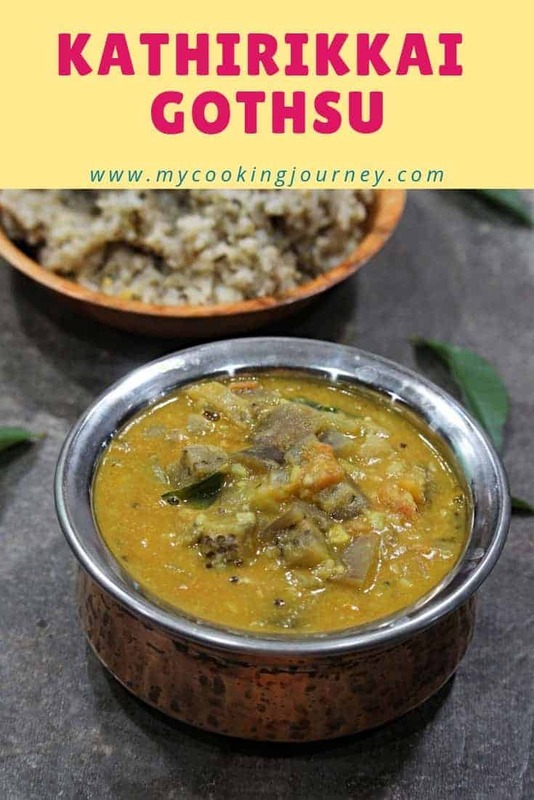 I think the next time he travels, I am making this for myself and enjoying with piping hot Pongal. Beautiful image and love that colour of gothsu. A new dish for me sounds similar to sambhar with moong daal added to it. Sounds so comforting and delicious. I will like to have it some steamed rice!! Gothsu sounds so flavourful and mouthwatering. I am drooling. Perfect accompany with steamed rice or roti. Loved it. Gothsu sounds so very yummy. This is new to me and sounds delicious. I must try it out soon.